This week we are chatting with Carey MacNaughton, a TPC, Boulder Advanced Program Graduate teaching out of Portland, Oregon. Carey graduated from TPC in 2012 and now owns and teaches at her beautiful little boutique studio, Hanu Pilates, in NW Portland. Hi Carey, how are you? Where are you right now and what are your plans for the day? I am doing just swell from Hood River, Oregon having an espresso and getting ready to mountain bike ride with a friend. My daughter, Lana, saw an enormous mountain lion very close to town yesterday so we are hoping for a big-cat free experience! Why did you choose to train with TPC? 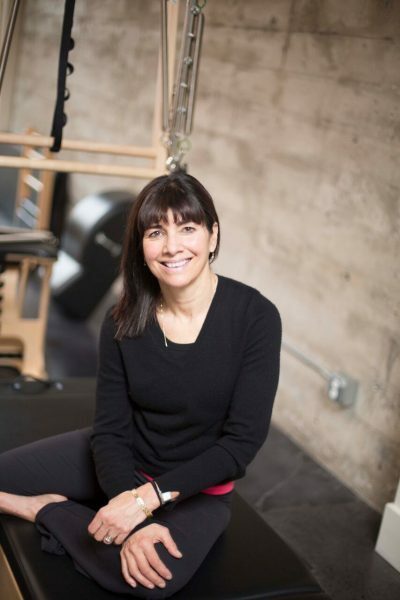 I first heard about The Pilates Center, Boulder from graduate Lisa Hagerman who was continuing her Pilates teacher training after receiving her first diploma from Core Dynamics. Before realizing I actually wanted to teach I knew I wanted what I saw Pilates could create: the balance between strength and flexibility. I was working as a personal trainer, yet taking Pilates classes I saw I could potentially teach several classes in a row to have solid work each day. 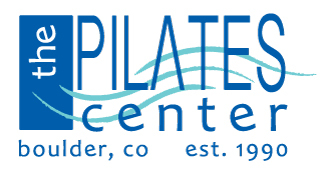 What was it about The Pilates Center, Boulder that made it stand out from the other Pilates training schools you had experienced or looked at? My first diploma is from Core Dynamics (Santa Fe) and although I was happily teaching a lot I never knew there was more to learn until I entered The Pilates Center Masters Program. After one hour of listening to Deb Kolwey I realized the training program itself was something I wanted as well as the Masters. The comprehensive nature of the teaching at The Pilates Center, Boulder was most inspiring to me. I was also ready to accept there was more to learn, that maybe I wasn’t teaching as crisply as I could and set a higher bar for my teaching. TPC is the program – not only for learning the classical work and order but how to teach it. The emphasis on pedagogy is unique I think. The entire program requires great discipline and you have to learn to park your ego at the door. The program suits anyone willing to immerse in the pure work and devote the time to learning the work correctly. The best teachers in the world are at The Pilates Center, Boulder and with their guidance I now better understand the work and how to share it. As a teacher / studio owner I have had students come in from other studios to train. I have seen a range of good and not so good regarding their previous ‘classical’ instruction. I have had numerous positive comments about how we teach and how TPC teaching is different from other Pilates teaching perspectives. The comprehensiveness of The Pilates Center, Boulder’s teacher training program and the commitment of Amy, Rachel and the team to enrich the teaching of the work always inspires me. My favourite thing about the training program was being pushed to my intellectual and physical limit to become a better teacher and person. I came into the TPC training program after a family tragedy (the death of our son) and over time teaching became a key to my recovery. I was very nervous about going to Boulder and having my teaching scrutinized, but I was there for their comments and observations and grew from day one. The entire team at TPC is very supportive of trainees, helping each student work towards success and excellence in teaching. 7. What would you say to someone who is considering training with TPC? Expect to work very hard and treat the training like a full time job – even if you are currently working – and expect an evolution. Also expect to find employment upon graduation as the training is known and coveted worldwide. My studio is wonderfully humming along and I know the teaching foundation is why that is so. My other teachers are TPC grads and as a studio owner it is reassuring to see such a high level of teaching daily. For trainees coming into the program I tell them they will get the best most comprehensive training there is and their job application will usually rise to the top of any job search pile.